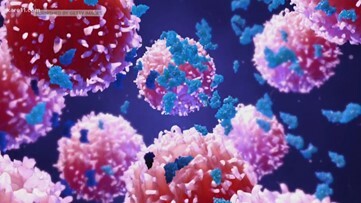 New research at the University of Minnesota has discovered a way to stop cancer cells from moving and spreading. Supported by the Randy Shaver Cancer Fund, the study could eventually impact millions of patients. The MFCA Tackle Cancer program has made over $1,300,000 after six years of generous giving! One year ago from right now, Luke Bonte wasn't battling on the field for St. Francis High School. Instead, this 16 year old was battling for his life. Cancer and football. It is bringing communities together across the state to raise awareness and money to support Minnesota's cancer community. It's called Tackle Cancer and for one coach, you can add service to country as another way he's giving back. 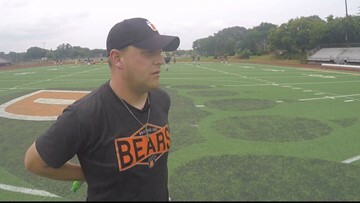 Ted is the freshman head football coach, but that title, barely scratches the surface of his impact. Randy Shaver sat down with Gopher Coach PJ Fleck ..not to to talk football, but to talk about cancer. Cancer. A scary word for anyone to hear and it stopped Ryan and his wife Amy dead in their tracks. On the surface, it's easy to judge Eden Prairie football. They've built a powerhouse program winning ten state football championships. And some people are quick to judge that all they care about at E.P. is winning. Former coach Stan Nelson and his son Dave share more than memories of Anoka Tornadoes football. They are both prostate cancer survivors. The inspiring story of an Augsburg football player and cancer survivor. 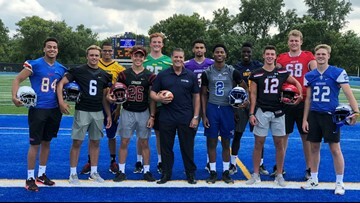 Tackle Cancer raises money for cancer research and patient aid and here's a story showing where that money is making a difference in Minnesota's cancer community. Football is what young boys in this small southeast Minnesota town dream of, including, and especially, Brennan Miland. In 2012, out of nowhere, Cynthia Cattell was diagnosed with cancer. Cattell eventually beat cancer, thanks in part to Tackle Cancer donations. 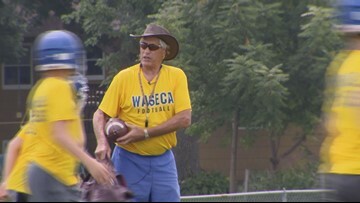 Many young boys in Waconia grow up dreaming of someday playing football for the Wildcats. But, Tate Maurer wasn't one of them. 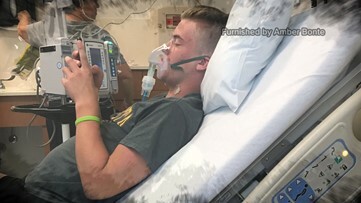 Tate Maurer decided to play football after falling in love with the Madden video game while he was battling back from cancer treatments.